The Obama administration announced plans on Friday to send about 100 U.S. forces to Uganda to act as military advisers to Ugandan and African Union forces fighting the Lords' Resistance Army (LRA). The U.S. special forces will provide information and training to assist Ugandan forces trying to apprehend the LRA's top commanders and bring them to justice, and to bring about an end the guerrilla group's two-decade campaign of atrocities, plunder and destabilization of the region, the administration said. President Obama announced the decision in an official notification letter to Congress Friday. In the letter, Obama said that he had sent the initial team of armed U.S. combat troops to Uganda on Oct. 12. He explained that the rest of the roughly 100 military advisers would be deployed over the next month to Uganda--as well as to the neighboring countries of South Sudan, Democratic Republic of Congo, and the Central African Republic, if they permit. He also said that while U.S. troops would be authorized to use force for self defense they will not be engaging in direct combat themselves. "On October 12, the initial team of U.S. military personnel with appropriate combat equipment deployed to Uganda," the letter explained. "During the next month, additional forces will deploy, including a second combat-equipped team and associated headquarters, communications, and logistics personnel. The total number of U.S. military personnel deploying for this mission is approximately 100." The Lords' Resistance Army is accused of killings, plunder and widespread atrocities, including the abduction of an estimated 3,000 children, in its two decades of guerrilla warfare across central Africa. The LRA's commander Joseph Kony "is the leader of this small band of of guerrillas who have been raging through ungoverned spaces between the DRC, Central African Republic, south Sudan and committing the most awful atrocities," Human Rights Watch's Tom Malinowski told the Envoy Friday. Malinowski was among several human rights and NGO officials briefed on the decision at the National Security Council Friday. He strongly welcomed the Obama administration's decision to provide special forces to apprehend the LRA's top commanders. The Ugandan military "has been most dedicated to going after him," Malinowski said, but he has been hard to find. "We don't know where he is at any given time.... It's very difficult ... how to find 100 guys in a vast jungle area with very poor communications." 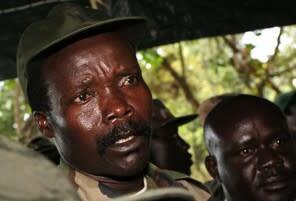 LRA commander Kony "styles himself as a prophet and spirit medium and practices a blend of mysticism and apocalyptic Protestant Christianity," the Washington Post's William Branigin wrote Friday. "He formed his Lord's Resistance Army from the remnants of the Holy Spirit Movement, an armed group led by his aunt that fought the Ugandan government in the late 1980s." Kony and four deputies are the subjects of arrest warrants issued by the International Criminal Court in the Hague in 2005. Want more of our best national security stories? Visit The Envoy or connect with us on Facebook and follow us on Twitter.